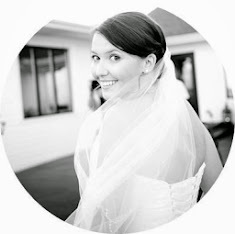 This week I'll be talking about our amazing photographers, Josh and Sara Thurber of Mirabel Photography! Photography was one of my biggest priorities when it came time to plan our wedding. Our wonderful planner recommended the husband and wife team of Josh and Sara Thurber to us based on the style of photography we wanted. I wanted our photographer to capture all of the important, posed moments, as well as the candid shots that would bring us back to that night year after year when we flip through our album. I wanted photos of the entire day, from getting dressed to walking down the aisle to dancing and partying to our grand exit. I wanted two photographers to capture moments from different angles. I wanted to own the rights to all of my photos and I wanted a CD of photos that I could make prints from in the future (I put together our wedding album myself...but that's a post for another day!) I also needed all of these requests to fall within our modest budget. Mirabel Photography hit every bullet point and then some! Not only were Josh and Sara a dream to work with (so sweet...so kind...love them!) but they blew us away with their talent and artistry. I will do a separate post next week about our engagement shoot, but today I want to focus on our wedding photos that I am in love with! Most of my favorite shots from our wedding day are the un-posed, raw, us-being-us photos that were caught on film. The photos that happen when we didn't even know a photographer was there. A little ladybug found itself nesting in my dress...a good luck sign! No really. The dancing never stopped. My poor mother in law just wanted a nice, normal family portrait. This laughter is the result of a naughty thing the pastor's wife said as she walked by. Next week I'll share our engagement photos taken by Josh and Sara!